Beautiful water front condominium home! You will love the open space and amazing view as you either sit in your enclosed lanai or out on your dock watching the sunset! 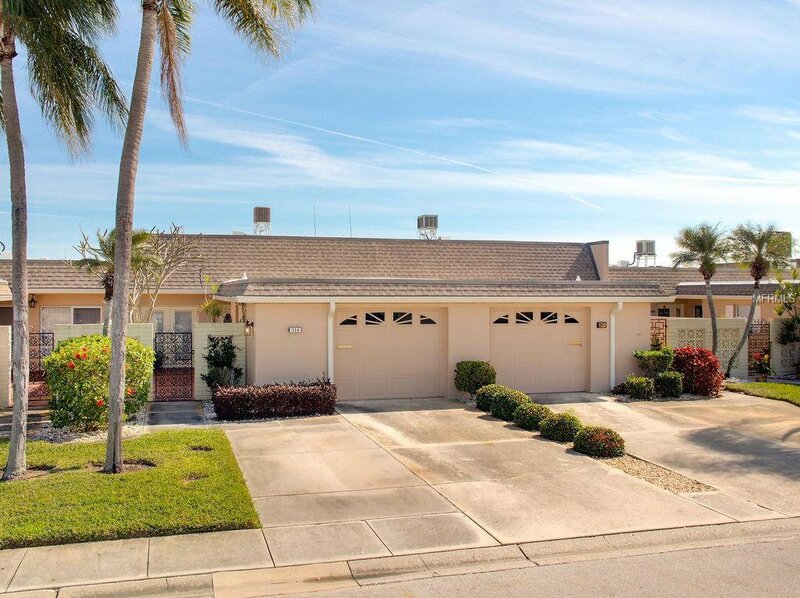 This 2 Bedroom 2 Bath open floor plan has more than enough room to move around comfortably. It features an eat in kitchen, with plenty of storage space, newer appliances and a private front patio. As well, the split floor plan makes plenty of privacy and each bedroom has its own full bath. The master bedroom boasts a walk-in closet and French doors that open to the lanai for that indoor/outdoor feel! Keep your car in tip-top shape by parking in your garage and still have room for friends to come by. They can park right out front in your 2 car drive way. Want to go to the beach? It's literally minutes away, as is shopping and great restaurant's! Start living your dream life on the water today! Full wheeler chair accessibility. Listing courtesy of BHHS FLORIDA PROPERTIES GROUP. Selling Office: SMITH & ASSOCIATES REAL ESTATE.